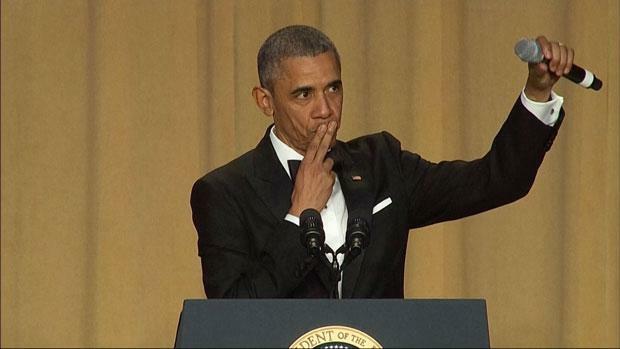 Watch President Obama’s hilarious final speech at the White House Correspondents’ dinner. President Obama’s final speech at the White House Correspondents’ dinner was a dynamic and hilarious and ends by declaring “Obama out” and literally dropping the mike. Check out our edited version below of Obama talking about his current ratings in the polls. Is he the coolest President ever? Please legalise in your final days! Check out President Obama’s final speech in full below, I promise it’s worth it. Obama, we sure are going to miss you. Whoever stands up there next year has a tough act to follow. What do you think of Obama’s final speech? Let us know on social media or in the comments below.